Start Your Bikini Fit Fitness Plan Today! I have 3 programs you can join. 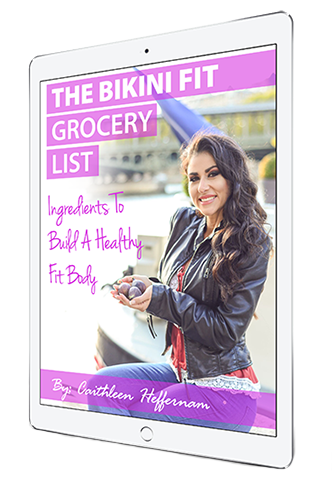 The Bikini Model Cookbook, The Bikini Fit Fitness Membership or One On ﻿One﻿ Coaching ﻿Online. You﻿ can start with one or do all three today! For less than a cup of coffee per week you can join The Bikini Fitness Membership site! Expect monthly workouts designed to give you FAST results. All levels of fitness are welcome! Move your way up from beginner level workouts, to intermediate workouts up to advanced workouts. You can do the workouts from anywhere in the world, at the gym or in the comfort of your home. Get My Healthy Diet Tips, Workout Tips And More! Fill out the form below. Tell me a little bit about yourself and your goals.